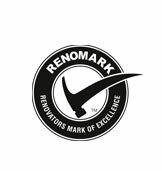 Consulting Services & Access Card - Premier Quality Renovations Inc.
Save Thousands on your Reno! Saving money has never been easier thanks to a one-of-a-kind Premier Access Card offered by Premier Quality Renovations. 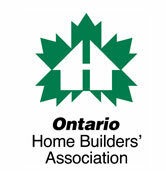 Home renovations are known to be expensive, but with the help of the Premier Access Card, home owners are granted access to an elite database of more than 100 of Premier’s reputable and trusted suppliers and trades. If that isn’t enough of an encouragement, card holders are also entitled to wholesale pricing which offers large discounts. So how do you start saving? The Premier Access Card is offered in conjunction with Premier’s Renovation Consultants, both of which are designed to help you consult, design, build and renovate your home. Looking to start a renovation but unsure as to what is required? Premier’s experienced consultants can get you started down the right path – perfect for home owners who want to oversee the renovation process, but want the assurance and confidence of working with an experienced building renovation consultant. The Premier Access Card gives you an ‘A-to-Z’ listing of everything you could potentially need when it comes to turning your house into your dream home. Premier Quality Renovations creates valuable additions and award-winning renovations for any living space. From complete renovations, to design and building services, from planning to completion, their experienced and readily available team of professionals are ready to help.